"In less than two years, this craft brewery at the Circle Center Industrial Complex has captured the hearts and taste buds of Indy’s most discerning beer drinkers. The location and friendly staff certainly help. Stop by on your next First Friday visit and make some new friends. Made from Amarillo and Simcoe hops, with a little Blood Orange fruit thrown in for good measure, gives this IPA a refreshing and sweet citrus burst with just a touch of bitterness. It’s the #1 seller for Centerpoint, by a longshot, and increasingly available in cans around Indiana. Pick up a six-pack for $11 or fill your growler for $12." Oktoberfest is almost upon us, and that means more beer events than any other time of the year. Here’s a short list of 25+ craft brew happenings around Central Indiana over the next several weeks. The 2018 Open Beer Championship held in Oxford, Ohio, this past weekend meant some big wins for Indiana brewers. Beer and art, beer and baseball, beer and insects, Indiana beer is showing up all over the place. From the team behind Coat Check Coffee comes Provider, a new all-day spot for the Kennedy King neighborhood. From Kokomo to Bloomington, Indiana breweries have tons of new IPAs, pilsners, sours, and more. With a new craft beer event, Indiana homebrewers heading to a national fest, and two breweries scoring top pales ales in the country, April is ending on a high note for Indy beer. Get a little more familiar with the art of coffee at Tinker Coffee's Indianapolis Cup. From a true beer garden to Bloomington Beer Week there are brewery happenings all over the state this month. Artists and filmmakers get together at the sprawling venue for innovative exhibitions and auctions. It's a new year and there are so many new beers all around the state to get out and taste asap. Chatting with cofounder Jon Robinson about their flagship beer, revitalizing a neighborhood, marshmallows and more. From Big Lug Canteen to Libertine to Centerpoint Brewing, CODO has helped many local food and drink businesses tell their unique stories through the art of branding. These beers are undoubtedly fall brews that don't necessarily fit into a single category, but to not include them would be a sin. We have a biere de garde, an autumn ale, a rhubarb sour and more. 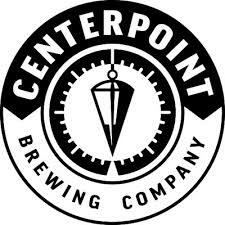 We're celebrating a host of excellent people tonight at Centerpoint Brewing, including Lifetime Achievement Award winner Betty Cockrum, outgoing CEO and President of PPINK.